We enjoyed hosting Allan and his international stunt crew from June through November last year. Great bunch of guys . . . total pros . . . nice to have around. Thanks everyone!!! Thomas FX also supplied Breakaway Glass and many other types of Special Effects Production Supplies to Skyscraper during the filming. We were also supplying the crew of "Deadpool II" with Breakaway Glass and Production Supplies at the same time, so it was a hectic summer for us all. This is the first time that Thomas Studios has been used exclusively as a Stunt Rehearsal Studio. Based on this positive experience, and awesome feedback from the stunt crew, we hope to do so again. 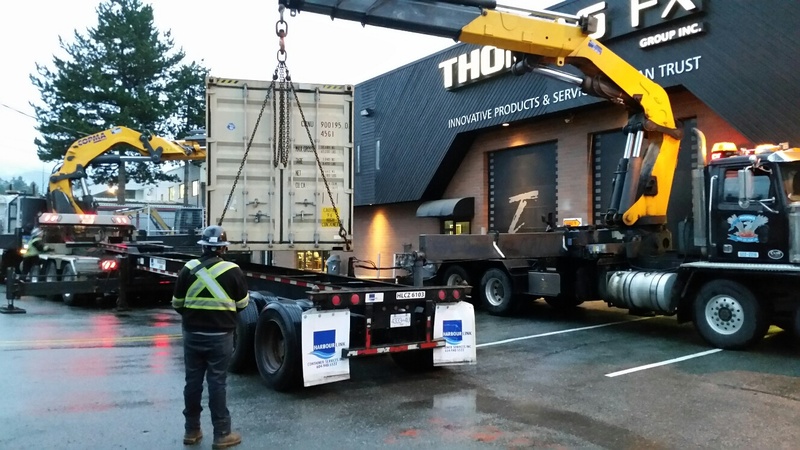 We thought this photo of the stunt crew's equipment container being loaded out for shipment back to New Zealand might be an interesting perspective on the types of activity that can take place at Thomas FX from day to day.